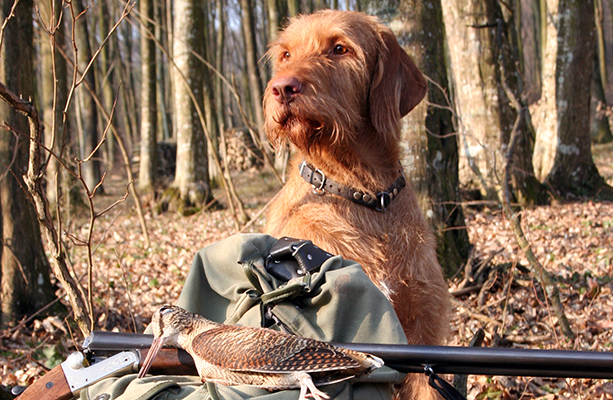 The affectionate Wire-haired version of the Vizsla is an excellent hunting and family companion. Its longer coat gives it the opportunity to be your ultimate winter shadow for hunting or hiking. The Wire-haired Vizsla originated by crossbreeding longer haired Vizsla pups with their German cousin, the German wire-haired pointer. Breeding started in the 1930s and it was an internationally recognized breed by 1960. 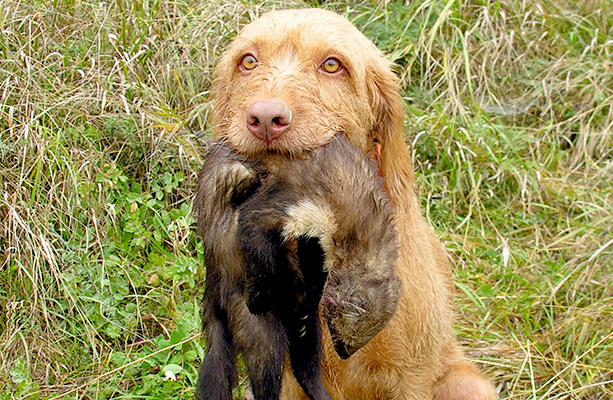 It is a versatile hunting breed. This means they do excellent on the ground and in the water before and after their masters shoot at game. 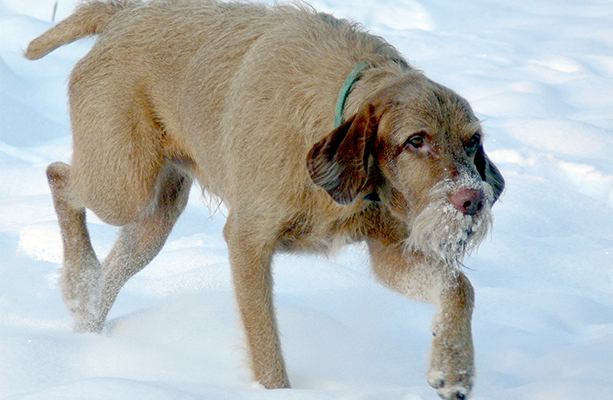 Because of their thick coat, they are better than their Smooth-haired Vizsla cousins for hunting during wintertime. Vizsla, at first, was an adjective although it soon became widely used as a noun. As a place name, bloodhounds from Vysla in Nógrád County are mentioned in 1350 for the first time. 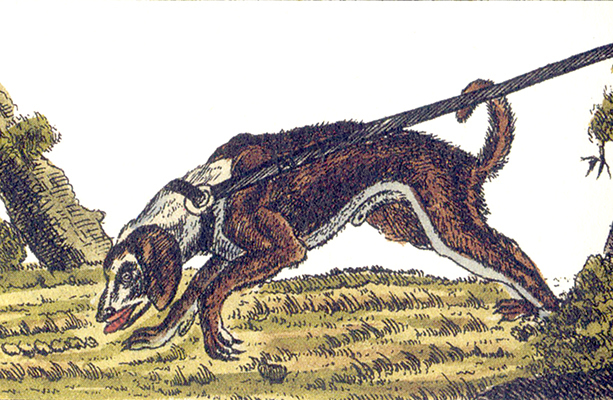 As a hunting dog, “wyzslath” is mentioned in a letter to Batthyányi Kristóf in 1563. Most specifically it meant a hound dog with excellent scent abilities. By 1657, Vizsla specifically referred to a breed. 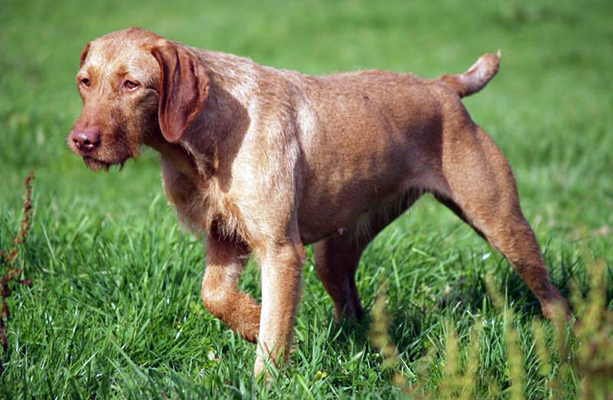 The Wire-haired Vizsla is a golden-rust, wavy coated hound with an evenly toned, lean, medium-sized body. Their large ears almost touch their shoulders, and their short muzzle and nose blends well with their coat. Their height is 21–25 in (54–64 cm), and weight is 40–64 pounds (18–30 kg). As a versatile hunting dog, they require a lot of activity. They are affectionate and follow their master wherever they can. 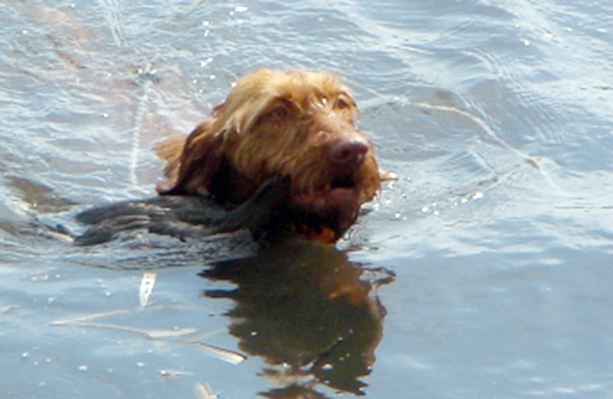 Wire-haired Vizslas need work to do. This keeps them out of trouble.